A Campaign Menu allows you to display multiple Active Campaigns together, usually to be able to have one call-to-action that lists several campaigns at once. Most commonly, we create one called "Support Us" which lists all the main ways supporters can engage with your organization. This is often used for the floating Support Us button that can appear on every page of your website - being a persistent call-to-action to your supporters, regardless of where they are on your website. 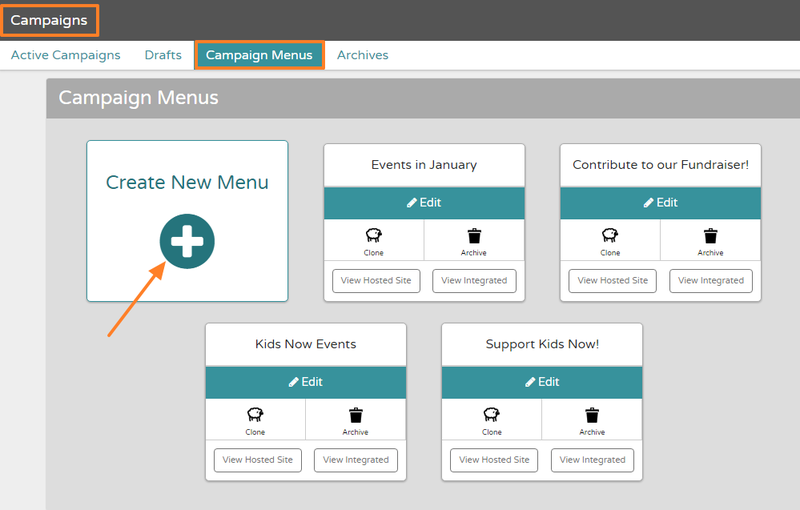 To create a Campaign Menu, go to the Campaigns area of the Flipcause Dashboard, and the Campaign Menu subsection. Here, you can create a new menu or make changes to an existing one. You can rearrange the order in which campaigns appear on the menu as well, rename the menu, and customize the look and feel of the menu. Please note, only campaigns that are "Active" can be added (not Draft or Archived campaigns).